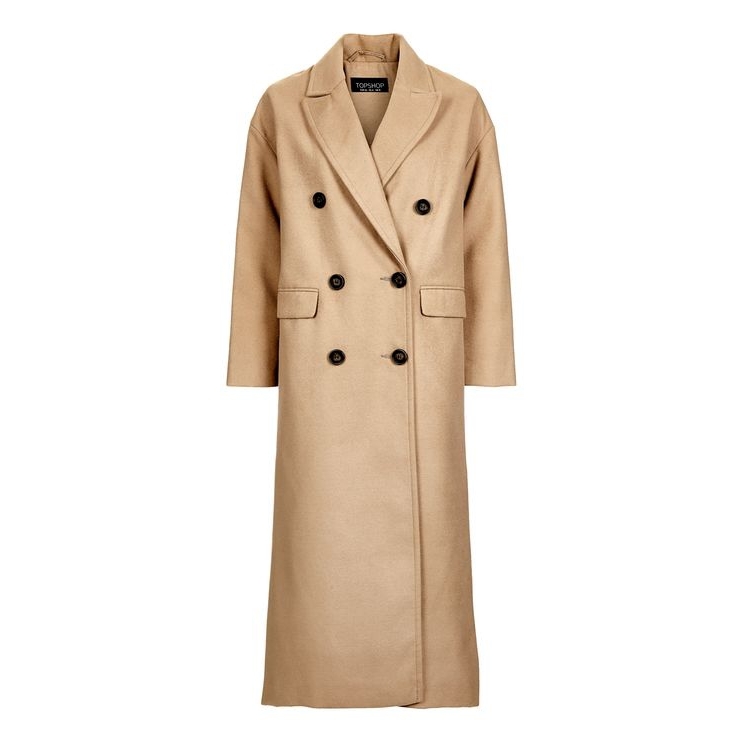 Make outerwear layers matter with this longline coat. With an on-trend slim and slouchy fit, it comes in a cool camel with practical pockets and features a double breasted button detailing to the front. 90% Polyester, 9% Viscose, 1% Elastane. Dry clean only.